This article is now out of date - click here for the 2016 Raspberry Pi Christmas Buyers' Guide. If you're completely new to the Raspberry Pi, here are my recommendations for UK purchases for Christmas 2015. All prices include VAT and mainland UK P&P unless otherwise stated. 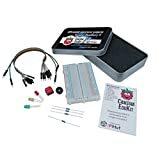 Amazon links include an affiliate tag for which profits go to Cotswold Raspberry Jam to spend on equipment to promote coding & electronics for children. The Raspberry Pi 2 Model B is the version of Raspberry Pi that is suited to the vast majority of uses. It's also the fastest version with the most memory. It has a quad-core processor and a gigabyte of RAM, meaning that it can be used as a desktop computer for browsing the web (including watching YouTube videos, Twitter and Facebook), wordprocessing (with LibreOffice, which is compatible with Microsoft Office) and programming. It's fourty GPIO pins can be used to control electronics such as LED lights and robots. It has four USB sockets so you can have a mouse, keyboard and wireless internet dongle all plugged in at once. You will also need, at minimum, a power supply, an 8GB Micro SD memory card, a HDMI cable, a keyboard and a mouse. I also recommend getting a case and a wireless network dongle - all of these are listed below. 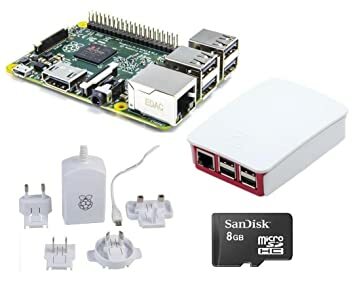 You can buy all of these things including the Pi 2 for less than £50, but you can spend more if you want. You will also need a HDMI TV or computer monitor. I haven't listed those as there are just too many to choose from. This is, frankly, a brilliant kit, very well thought out, and has everything you need to get started. It's not the cheapest way to get going with Raspberry Pi, but what you're paying for here is the expertise of someone making all the right choices for you. 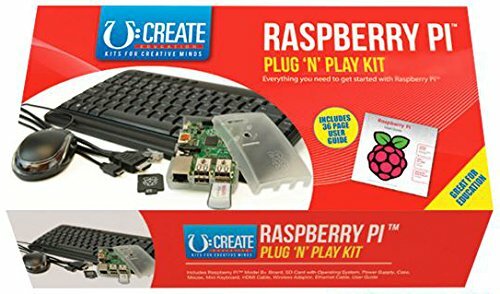 This kit includes the Raspberry Pi 2, a case, a power supply, a good compact keyboard that has all the necessary keys, a mouse, a WiFI dongle, a HDMI cable and a printed starter guide. Just plug in to your HDMI TV or computer monitor and you're good to go. Highly, highly recommended if you don't have a clue about computers, or if you're a parent who wants to guarantee that everything will "just work"; this is the no-tears solution for a child's present. The kit is available from Maplin shops, so if you want the assurance and advice of experts in-person, in a proper bricks-and-mortar shop, before you buy, this is the kit to ask about. Comes with Pi 2, WiFi dongle, keyboard, mouse, power, and Micro SD card with NOOBS. Not quite sure why it also includes a USB hub, but there you go. You'll need to get a HDMI cable and consider buying a case. Maplin code N01EA. This kit, from the Raspberry Pi Foundation charity itself, includes the Raspberry Pi 2, the official case, the official power supply, and a memory card with files already on it. You'll still need a HDMI cable, keyboard, mouse and possibly a WiFi dongle. Check whether the TV or monitor that you intend to use, has a HDMI port. If so, get a HDMI cable from Poundland or Wilko. Don't pay more than a fiver. The ones and zeroes either get there or they don't, so there is no point in buying a more expensive cable. 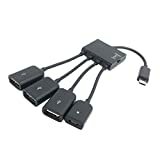 If you have a flat-panel computer monitor without a HDMI socket, you can buy a HDMI to DVI cable (£3.99). Note that this won't carry sound to the monitor; you will need to use speakers or headphones. If you have a really old VGA monitor, get a HDMI to VGA adaptor (£5.99). The Raspberry Pi 2 has no hard drive, it has its operating system on a Micro SD card. The most popular operating system is Rasbpian. 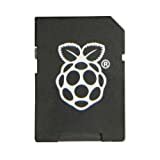 Raspbian can be installed onto a Micro SD card either by using the NOOBS tool (very easy, but slightly inefficient and wasteful) or by downloading Raspbian directly (more difficult). New Out Of Box Software, ready to go on a good quality 8GB Micro SD card. Also comes with a full-size SD adaptor with the Raspberry Pi Logo. 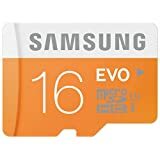 Pick this if you are unsure or not confident..
A larger, better quality Micro SD card. This card is supplied blank, so you will need to download either NOOBS or the Raspbian operating system. The Raspberry Pi 2 consumes between 0.5-1 amps, then add about another half an amp for a wireless network dongle, keyboard, mouse etc. Pretty soon you're heading over 1.5 amps. This is more than most basic mobile phone chargers will supply, but if you have a spare 2 amp Micro USB tablet charger, that should work fine. However, if you're in any doubt, buy this official power supply - unlike many chargers which claim to supply 2 amps, this one is tested and guaranteed to be up to the job. And you won't find an alternative 2 amp charger for much cheaper anyway. I used to also recommend the Nokia AC-10x which is only 1.2amps, but a very reliable 1.2amps with high build quality and a good thick cable. However it's only fifty pee cheaper than the official one, so get the official one. Absolutely do not buy a cheap charger off the local market or an eBay international seller. Nine times out of ten, they don't supply the amperage or voltage they claim to provide. Sometimes the power brick can be fine but the cable poor; sometimes the brick itself is poor. Your Raspberry Pi will start to show the "rainbow square of death", slow down and have internet connection problems. You don't need a case. You can run your Raspberry Pi 2 "naked" with the bare circuitboard. However, with the cables dangling off it, it tends to flop about a bit, plus it's asking to get bashed, bent or have some dust wedge itself somewhere it shouldn't. Cheapest option is free. Print out a case from a PDF file onto thin card. Remember to print with "Page Size: Actual Size" selected in your PDF reader's print options; this ensures correct fit regardless of whether you use US or A4 paper. This is the official case from the Raspberry Pi Foundation. It's a quirky but flexible design, with pop-out panels to provide access to the GPIO pins, and a removable lid to provide access to a variety of add-ons. Personally, I think it's okay but I wouldn't rave about it; the pop-out panels strike me as things which will get lost, and I'm not entirely convinced about the accessibility of the GPIO pins. It's very popular and good build quality for the price, so maybe I'm just wrong. My personal favourite. Very strong build quality and highly accessible design from a company that specialises in Raspberry Pi cases. Easy access to the camera slot and the GPIO pins, plus, the numbers of the pins are etched onto the plastic. Some assembly required, but instructions provided. My tip: put the screws in with the screw heads at the bottom and the nuts at the top, so you can remove the top layer if your camera cable goes awry. Cheap but very cheerful, this is a slimline case that is perfectly practical most of the time. I use this for the Pi that I use as a server. It has screw mount fittings so you can bolt it to a wall, alternatively it is equally at home on a desk. GPIO pins are fully accessible. Slot for camera cable but you have to split apart the casing to thread it through. 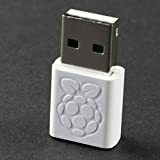 Recommended if you're on a budget, or regardless of budget if you intend to just leave your Pi in one place as a dedicated machine. 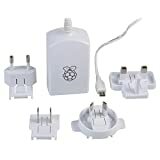 The Raspberry Pi 2 comes with a wired network socket, which you can connect directly to a router using a network cable (Poundland and Wilko sell them cheap). 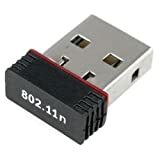 If you want wireless connection to your WiFi router, you'll need a USB WiFi dongle. This is the official WiFi dongle. It has a nice logo on it and the performance is slightly better than the 5370 if you've got a poor WiFi signal. 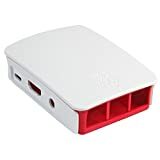 This generic WiFi dongle uses the Ralink 5370 chipset which is supported by the Raspbian operating system without needing to install anything extra. It is very compact but works fine in medium to strong signal areas. If you intend to use your Pi a long way from your router, in a weak signal area, consider getting the official one instead. Frankly, go to Wilkinsons and buy a cheap USB keyboard and USB mouse. Pay no more than 6 quid for each. Be sure to get a PC keyboard and not an Apple Mac keyboard. PC keyboards will have a pair of ALT keys whereas Mac keyboards will have a OPTION key. I strongly recommend buying a full-size keyboard. 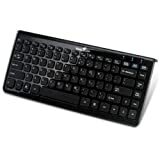 If you really must buy a compact mini keyboard, be sure there is also a way of typing | (pipe, usually next to Z) ~ (tilde, usually next to Return), Page Down and a PrintScreen- some compact keyboards do not have these, and they matter for Raspberry Pi programming. Do not get a Bluetooth mouse nor keyboard. You can set up Bluetooth on the Raspberry Pi, but it's a pain and not a job for a beginner. Non-Bluetooth wireless keyboards and mice will work fine on the Pi 2. My favourite compact USB keyboard. Easy access to the rarely-used Linux keys such as pipe, tilde, Page Up/Down etc. Nice slight tilt for comfy typing. Good long cable. I have to be honest, though, I'd prefer a cheap full-sized PC keyboard over a funky compact one any day. If you type for more than a couple of hours a week, you'll really appreciate a full-sized keyboard. By Carrie Anne Philbin. 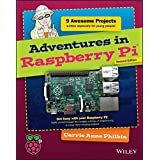 This excellent, beginner-friendly book, takes you from setting up your Raspberry Pi 2 and basic desktop use, through to programming and electronics. Suitable for children, teens and inexperienced adults. By David Whale & Martin O'Hanlon. 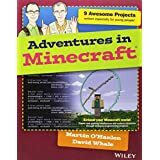 This book focusses on learning programming with Python via the Minecraft game. If you are, or have a child who is, obsessed with Minecraft, then the Raspberry Pi allows you to reprogram the world. Write programs to put text on the screen, create buildings and even mechanical items in the Minecraft game world. You can even link electronics in the real world, to effects in the game world. Like the other "Adventures in..." books, this is suitable for children, teens and inexperienced adults, with a few advanced topics for those with moderate skills. By Simon Monk. 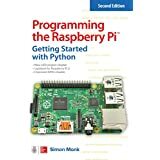 A slightly more serious, yet still beginner-friendly, introduction to coding with the Raspberry Pi using the Python programming language. 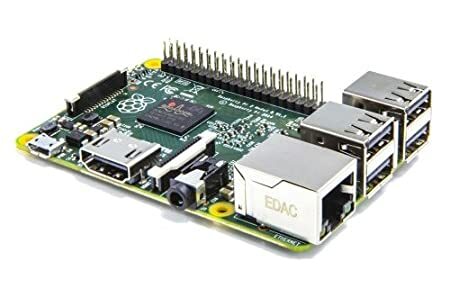 The Raspberry Pi has what are called "GPIO pins" (General Purpose Input and Output). 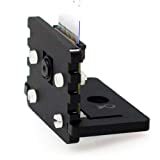 These allow it to connect directly to electronic components, so you can build lighting systems for your toy town, control robots and much more. A brilliant low-cost introduction to electronics on the Raspberry Pi, created by our chums over a Cambridge Raspberry Jam. Includes lights, cables, resistors, a switch and buzzer, plus instructions. Electronics components to accompany Ms. Philbin's excellent Adventures in Raspberry Pi book. Electronics components to accompany the electronics chapters of the Adventures in Minecraft book. 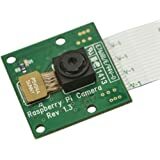 The Raspberry Pi can have a 5-megapixel webcam attached to it. This uses a special display interface on the Raspberry Pi, so it isn't a standard USB webcam. The Pi camera gives brilliant still and video images even indoors. The Raspberry Pi Zero came out at the end of November 2015, retailing for just 4 pounds. However this is not the ideal introduction to the Raspberry Pi. Compared to the Pi 2, it is significantly less powerful, and will feel very slow if you are used to regular laptops and tablets. It also has no camera interface and you have to solder-on the GPIO pins, plus it has non-standard HDMI and USB ports. Don't get me wrong, it is a great product for the price, and particularly suited to robotics and electronics projects. But if this is your first foray in to the world of Raspberry Pi, save your pennies and get a Raspberry Pi 2 - you won't regret it. THEN, after you've got used to your Pi 2, THEN get a Pi Zero for all those projects you'll dream up. Converts one micro USB port to 3 full-size USB ports (keyboard, mouse, wifi) plus spare Micro USB charger port.